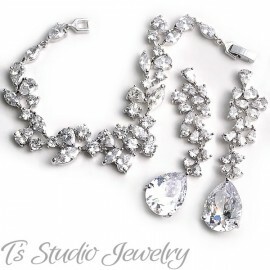 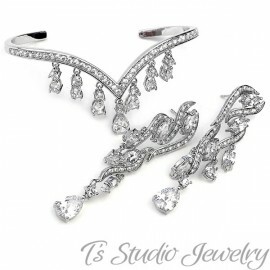 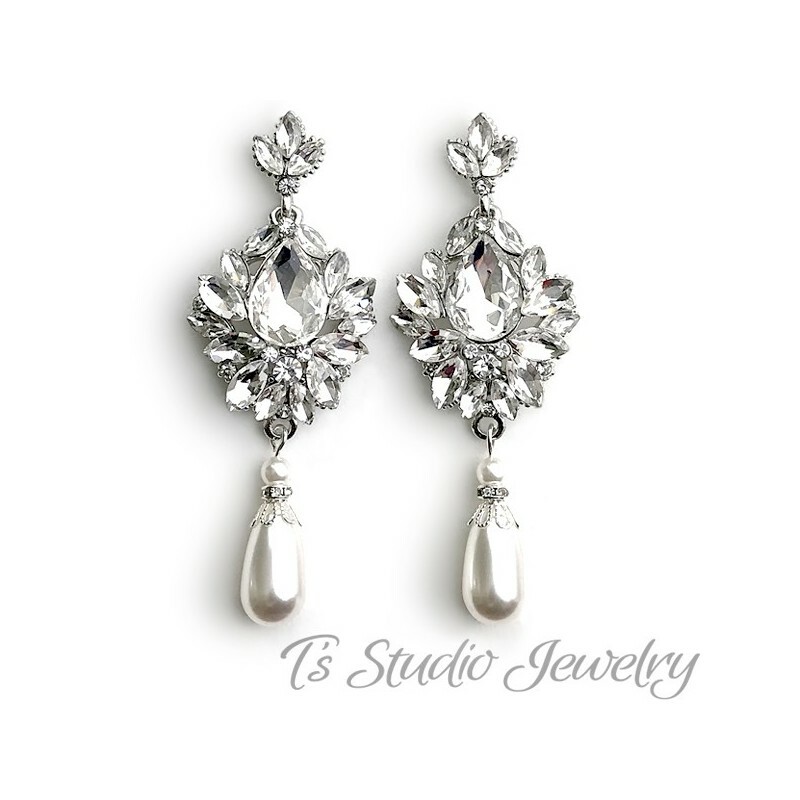 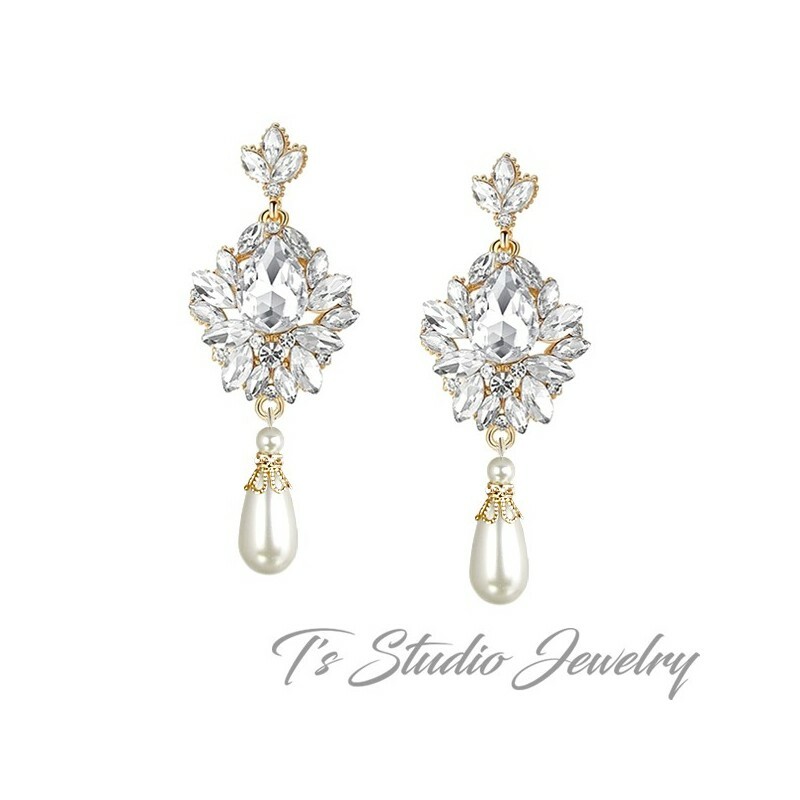 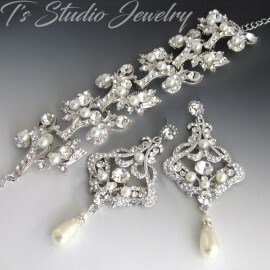 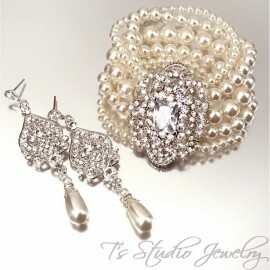 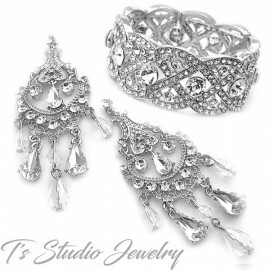 These beautiful silver chandelier earrings with clear pear shaped rhinestone crystals are gorgeous for any bridal gown. 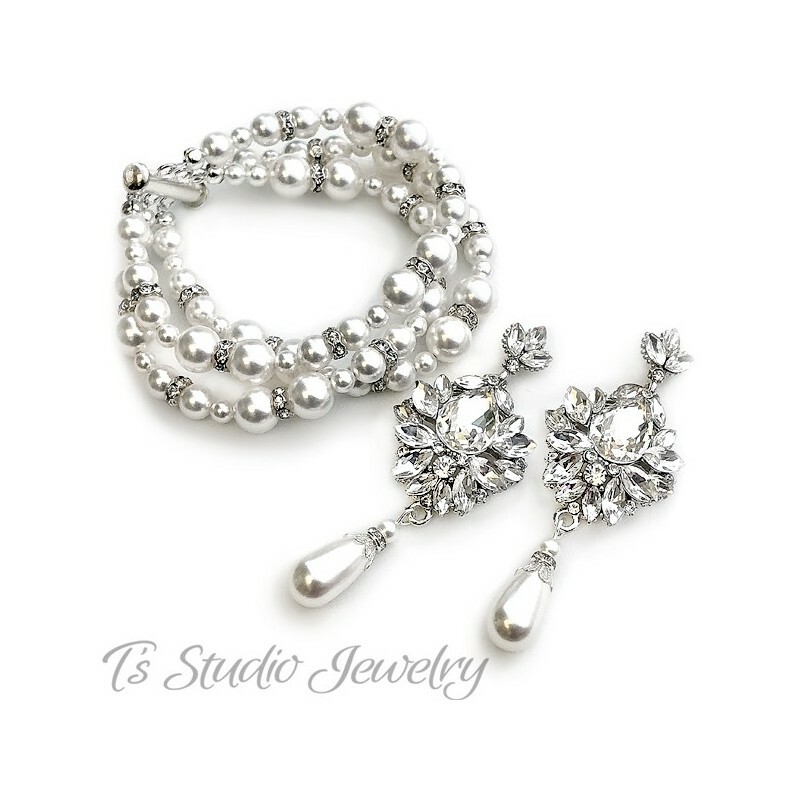 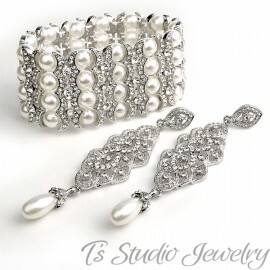 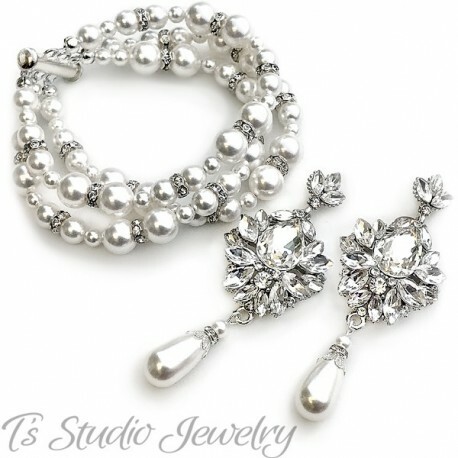 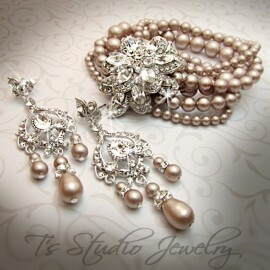 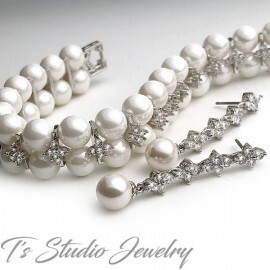 The matching pearl bridal bracelet is made with 3 strands of Swarovski pearls in various sizes, mixed with sparkling rhinestone crystal spacers. 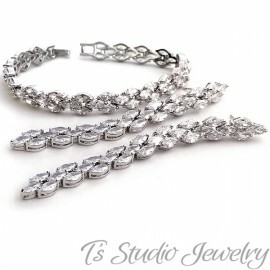 Clasp is a 3-strand slider style clasp, available in silver or gold. 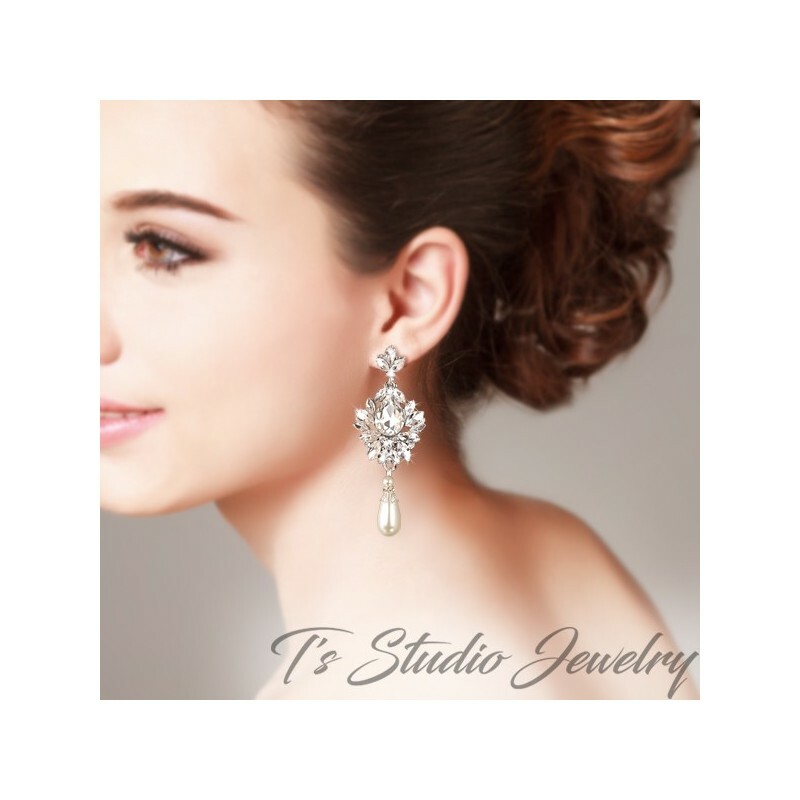 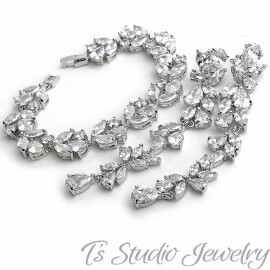 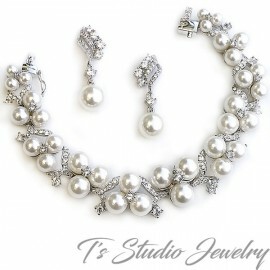 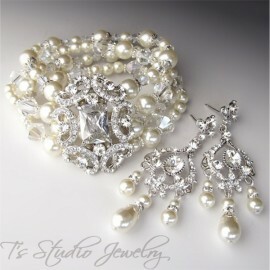 It will make the perfect accessory for your wedding jewelry, or any special occasion. 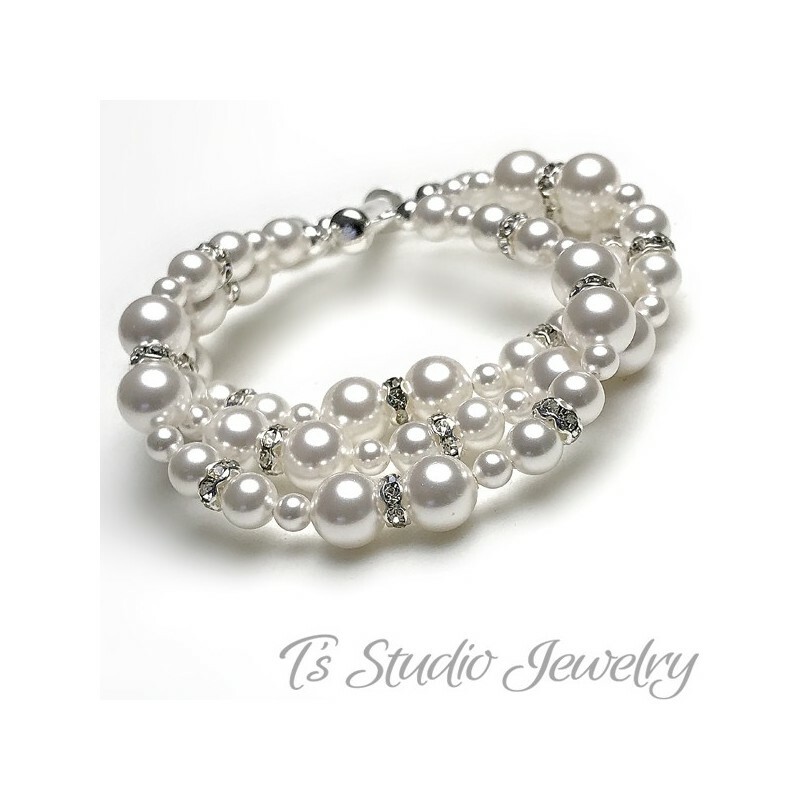 Each bracelet is made to order, to fit your wrist perfectly. 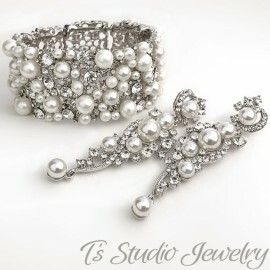 Upon checkout please make a note of your wrist size, an EXACT wrist measurement, not loose or tight.